Vice President Inonge Wina says the Zambian Government is mobilizing resources to help Malawi, Zimbabwe and Mozambique the three countries that have been hit by Cyclone Idai. Hundreds of people have been killed and hundreds of thousands more have been affected by what the UN says could be “one of the worst weather-related disasters ever to hit the southern hemisphere. Mrs. Wina told Parliament today that Zambia is obliged to support her neighbours because she will need their support in future. She said government will see how best Zambia can help the three countries that are faced with devastation. Mrs. Wina was responding to a question from UPND Solwezi East Member of Parliament Leaky Kintu during the Vice President’s question time. Mr. Kintu wanted to know what sense is in donating money to Zimbabwe, Mozambique and Malawi at the expense of school children in his constituency who are learning without desks. You Zambia are late as usual. Too slow. The floods are over, and those countries have already more than they need. You are late AGAIN, you are too lazy. Zambia cant even help itself! 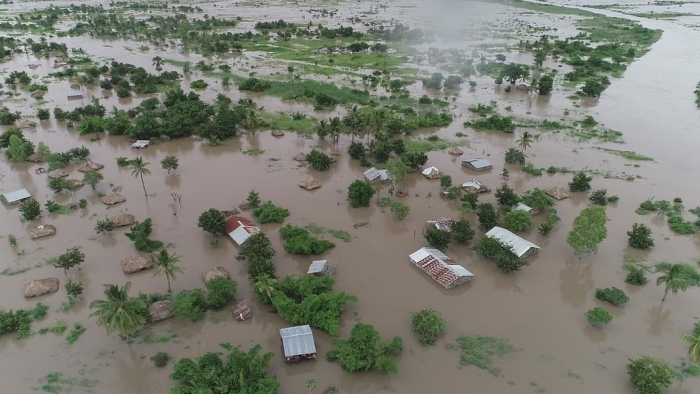 Tanzania has already sent relief aid to neighbouring Mozambique, Zimbabwe and Malawi following the devastating impact of Cyclone Idai that has ravaged parts of the country. Reports indicate that the aid package included medical supplies. Overall, 214 tons of food and 24 tons of medical supplies were dispatched by the Tanzania government. God says if you have to help, help right there and then, don’t wait for tomorrow. You don’t need to start announcing for weeks in parliament just to make a name for ourselves meanwhile our own brothers are dying, more than 100 have died so far. It is wrong, God will surely send us to hell. Let’s learn to act fast as and when our help is needed. This useless UPND MP Mr Kintu should sell his luxury SUV, and use some of his hefty allowances and salary that he gets as part of his package being an MP and use that money to buy desks for the same children in his constituency instead of spending nights with prostitutes at Parliament Hotel which he and his fellow MPs do. Charity begins at home. This disease we have in Zambia of not caring for others and always pointing the finger at others is why we will never develop. I would ask Mama Inonge to ask those Zambians that are able and willing to donate any small amount for our brothers and sisters in these affected countries to do so through a selected govt dept. It is a tragedy and all should help next time it may be us in this situation. Lungu is a prominent leader in SADC. One would think Zambia would be in the forefront mobilizing help for our brothers and sisters in the three countries, and especially in Mozambique which experienced more extensive damage. Tanzania stepped up to the plate and delivered medicine and food, while Zambia is still all talk, and no action. No wonder Zambia is so insignificant in Africa today. Mozambique is a member of the SADC countries which has 14 member countries. These 14 countries need to put resources together and create natural disaster relief fund, and also acquire trucks and rescue helicopters to help in disasters like this cyclone. Stop always looking to Western countries for help, for things we can do ourselves. Wake up!!! It’s so sad to see all that as happened to our neighboring countries , I think we can all help sending aid in our means ,not just leaving our government to help alone and it doesn’t make any sense for any one to bring up complaints of any sort in this case ,. Commendable. Only make use of disaster agencies like RedCross to avoid sticky fingured PF cadres stealing from the needy. OUR CONTRIBUTION MUST BE MORE OF HUMAN RESOURCES THAN MONETARY OR MATERIAL E.G MILITARY PERSONNEL,DOCTORS,NURSES AND OTHER MEDICAL SUPPORTING STAFF.LET US DO THIS THROUGH RED CROSS, SADC ,AU AND UN. NOT UKUIPOMPA SANA KA?CHARITY BEGINS AT HOME! This is a tough one because we have Zambians starving in our own country. Jairos Mwale – Zambians are starving not because there is no food in the country. It’s high time you help your brothers and sisters….. To bloody late. Were these countries willing to help us when we went hungry in mid-90s? For all I remember it was Katumbi who fed us on cheap yellow maize when that drought hit. In the face of rising incidences of natural calamities hitting this region, our leaders need to come up with a Disaster Management Mechanism to forestall or counter the resulting calamities. Firefighting reactions amount to nothing. When shall we learn lessons from our experiences? The thought is good, but I don’t trust the motive. Eg. ZMW 10 has been raised towards the cause..but only ZMW 2 donated. What about the ZMW 8??? and there would be no one to question and account for it….very shameful indeed. Lets mean what we say and say what we mean and walk what we say. “Mr. Kintu wanted to know what sense is in donating money to Zimbabwe, Mozambique and Malawi at the expense of school children in his constituency who are learning without desks.” This man and other useless UPND and PF MPs need to be voted out in 2021. These are natural disasters that Africa needs to start handling herself, before international help or assistance arrives. I highly doubt some Zambian’s thinking potential. To think these people are our MPs. Hold on first, what if the cyclone idai reaches your country having already spent your resources towards others ? But in the spirit of positivity you can do so. Yes it’s a good idea to help our neighbours but do we have the means ? Mozambique is the only country in the region that has an annual budget for emergencies (emergencia e calamidade). These occur several times a year every year and come in the form of tornadoes, cyclones, earthquakes and floods. Malawi and Zimbabwe are already in desperate situations. They need all the help they can get. The EU is sending some. BREXIT is quiet despite the reprieve – extension. Let’s forget our own bellies for a while and think of others leaky Kintu ( or is it Leak-y Kantu)? No wonder his folks named him leaky! This is a good move Zambia, let’s be what we have always been. Helpers of our neibours. Zambia has been supporting some of these countries, through freedom fighting battles against apartheid. How can we abondon them now? Let us sow some love so that they remember us in our time of need. Noble gesture. Now let’s show the same zeal in mobilizing resources to feed our students. Thank you. Good to help Zambia’s neighbors in their time of need but don’t forget you still have issues of cholera where resources are also needed. Matthew 7:5 You false one, first take out the bit of wood from your eye, then will you see clearly to take out the grain of dust from your brother’s eye. Bakapoli imwe so mulefwaya ukutala impiya ku campaign. Do we have resources around or the govt is contemplating to borrowing as usual?City market nd other markets that were gutted still remains unattended to.please fund the education sector nd pay our civil servants then we will pray for them . Love your neighbour as you love yourself. This is Zambia’s legacy.